We sink a lot of time into sampling and researching the beans we use for our Death Wish and Valhalla Java roasts, and while both roasts are nothing to be taken lightly (pun intended), there are some key differences between the two blends. The biggest difference between our original Death Wish blend and the Valhalla Java is the overall strength. Death Wish Coffee has the higher caffeine content across the board, and it's actually the darker roast of the two blends. The reason they're called "blends" in this case, is that they are in fact, blends of beans sourced from a few different areas on the map. 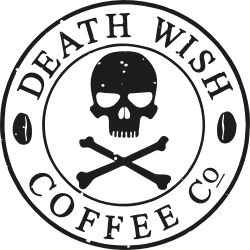 Death Wish Coffee uses both Arabica and Robusta beans, sourced from mainly, India and Peru. Valhalla Java uses a blend of Arabica and Robusta beans sourced from Honduras, Guatemala, Sumatra, Peru, and India.